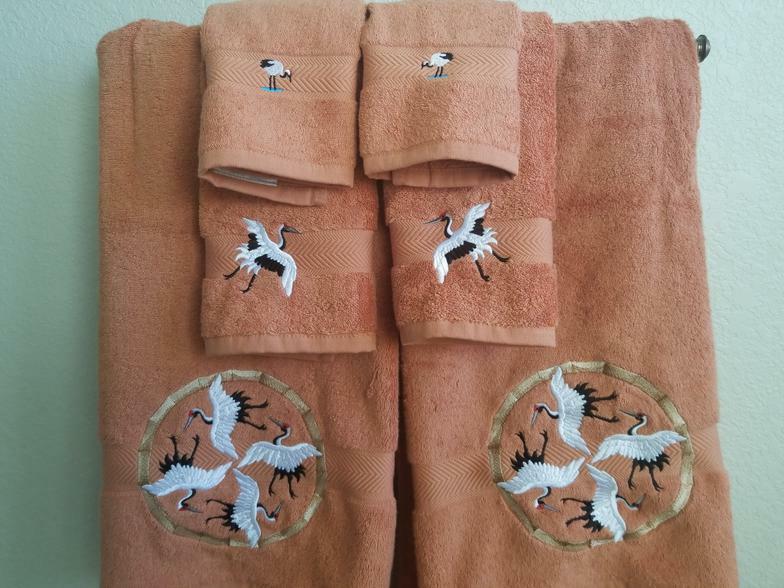 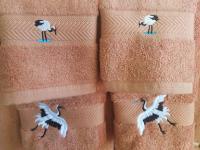 A 'stylized' version of the Japanese crane version of bath towels (one of my original designs)......set includes two (2) each of bath, hand, and wash cloth. 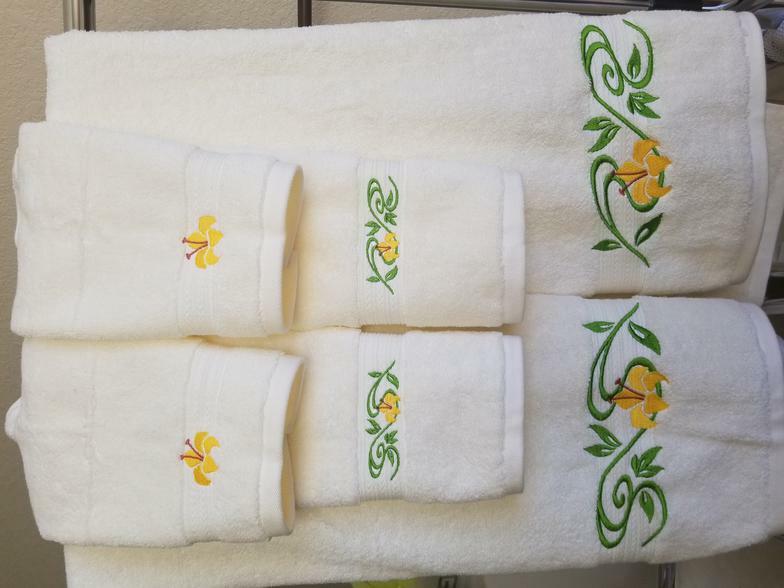 These are luxurious 100% Egyptian cotton, decorator brand towels - generous sized (bath towel=28"x53", hand towel=16"x30", and wash cloth=12"x12"), nice weight (bath towel is considered a 16# weight), and fluffy! 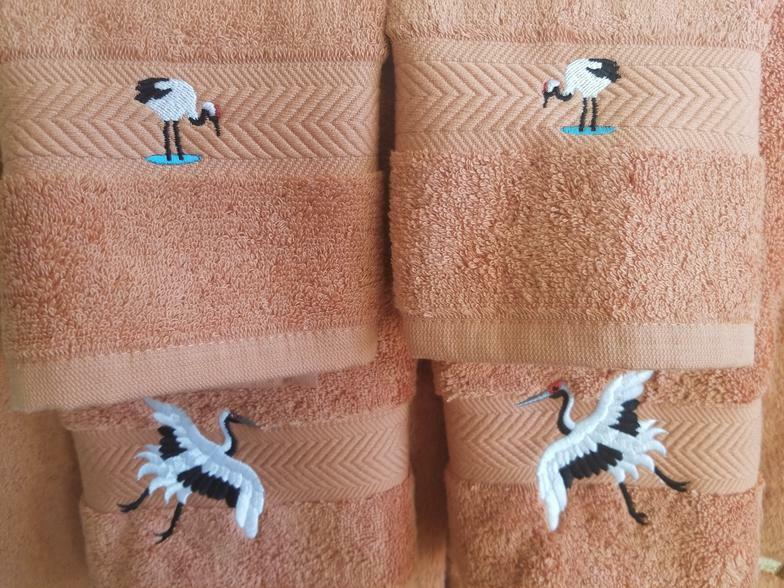 I love them....... please allow a minimum of two (2) weeks when ordering these. 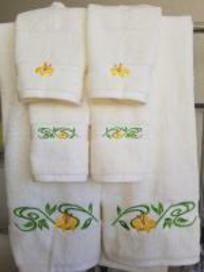 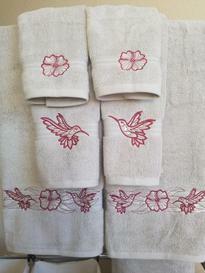 The cost is $75.00 for the set of six (6) towels, plus applicable sales tax. 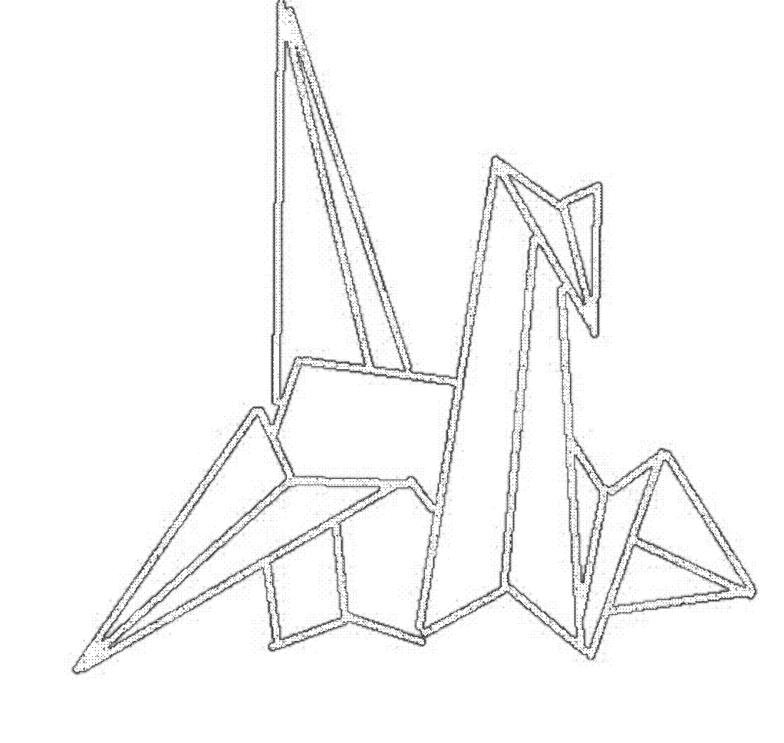 Shipping will vary, but will be best price to your location. 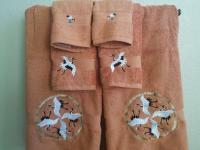 A double set of bath towels (2 each - bath, hand, wash) in a papaya color (actually much deeper, almost like a mango), with a version of my trademark 'crane'.